Registration is now open and fill faster then ever! 1.) 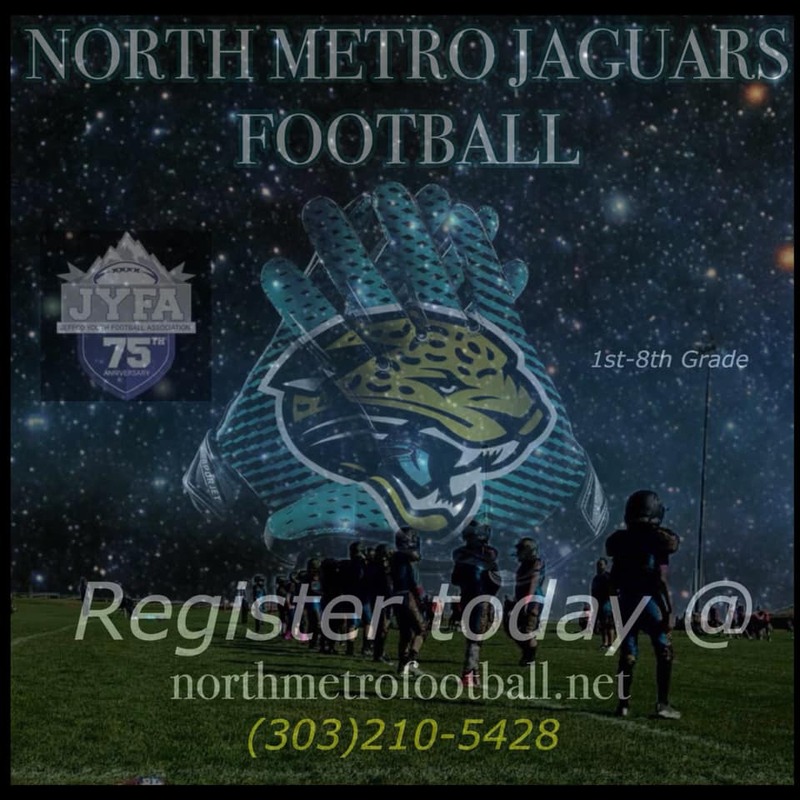 The North Metro Jaguars are a proud affiliate of the largest youth football organization in Colorado. The JYFA has celebrated 75 years of history and continues to produce some of the premier football teams in the state. 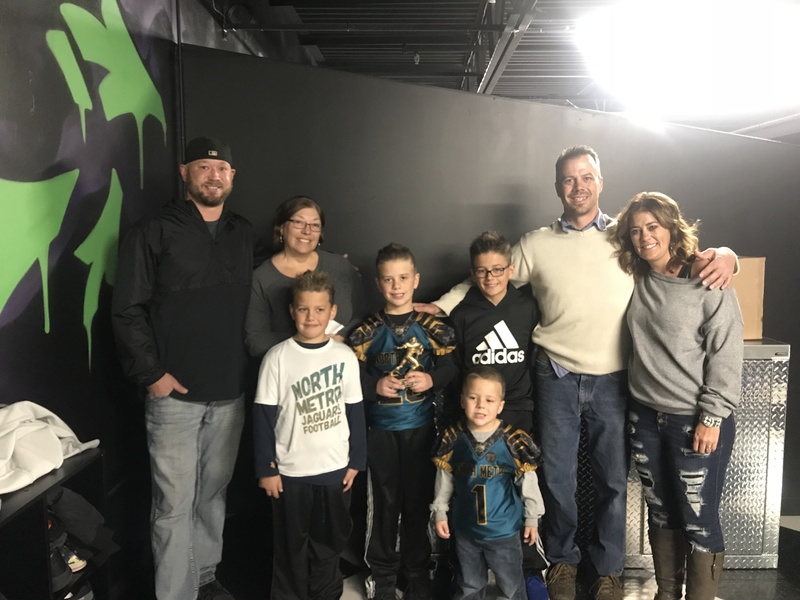 Offering 1st-8th grade youth football, we have a spot for your child. 2.) All our coaches are USA Football Heads-up Certified. The premier youth football governing body in the United States. Not only are our head coaches certified, but all our assistant coaches as well. 3.) Federal, State and Local background checks for all player contact volunteers. This includes all coaches, and team administration including managers and moms. 4.) Our practice and game facilities are locally sourced to your area. While games will be held at many locations throughout the JYFA boundaries. 5.) North Metro Jaguar parents and players are not required to pay large amounts of money to play. Other than registration fees, but are always reasonable. 6.) North Metro Jaguars are associated with one or more local high schools. Many offer local skills camps and other fun activities to familiarize the player with the game as well as to introduce them to their great schools. 2019 North Metro Jaguar Tackle Camp! Details: All campers must have a parents release form signed before starting camp, if they do not have equipment they can still participate in a limited basis, campers must provide own WATER. Parents must stay at the field or make arrangements in case of emergency. Local High School, Thornton, Northglenn, Mountain Range, Pinnacle, Prairie View players will be at the camp to assist North Metro coaches in running the camp. tackling / blocking and "Hawk Tackling"